Mega Doughnuts mean an ever bigger sugar rush. Clean eating and healthy living are high on the agenda nowadays. But somedays, it’s nice to tell ’em to shove it and indulge in something that’s bad for the body, but good for the soul. Step forward Doughnut Time. 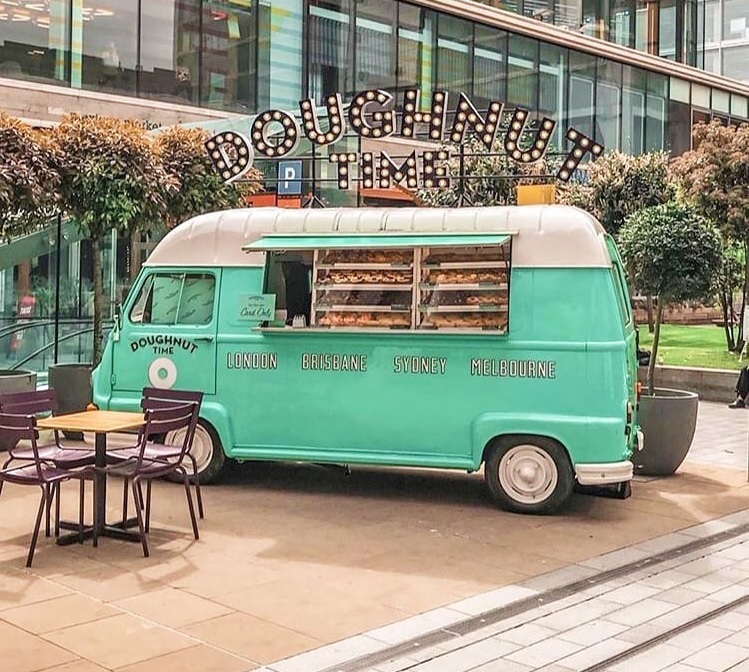 London’s fastest-growing doughnut chain has decided that if you’re going to be bad, you need to do it in style. 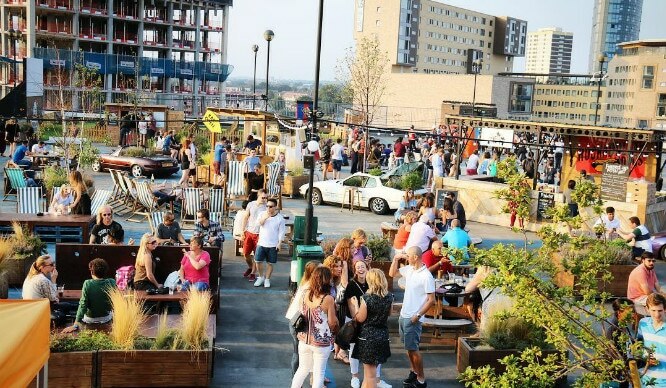 Which is most likely the reason they’ve created a range of ludicrously large ‘Mega Doughnuts’. 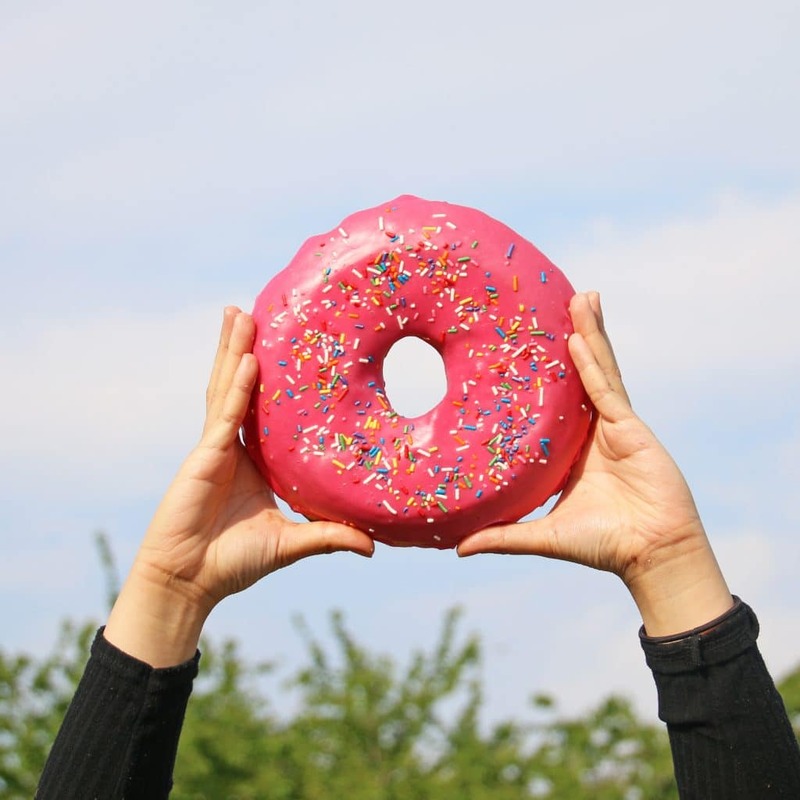 Yep, who knew that the missing ingredient in life was a doughnut as big as your head? 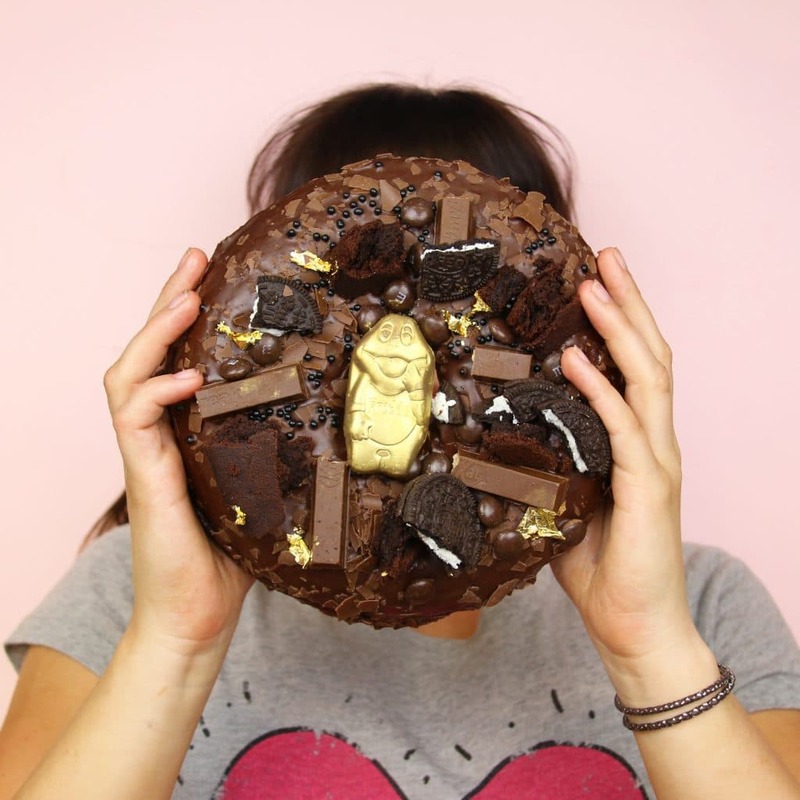 The Mega Doughnuts are 18cm in diameter, and should satisfy even the largest of appetites. 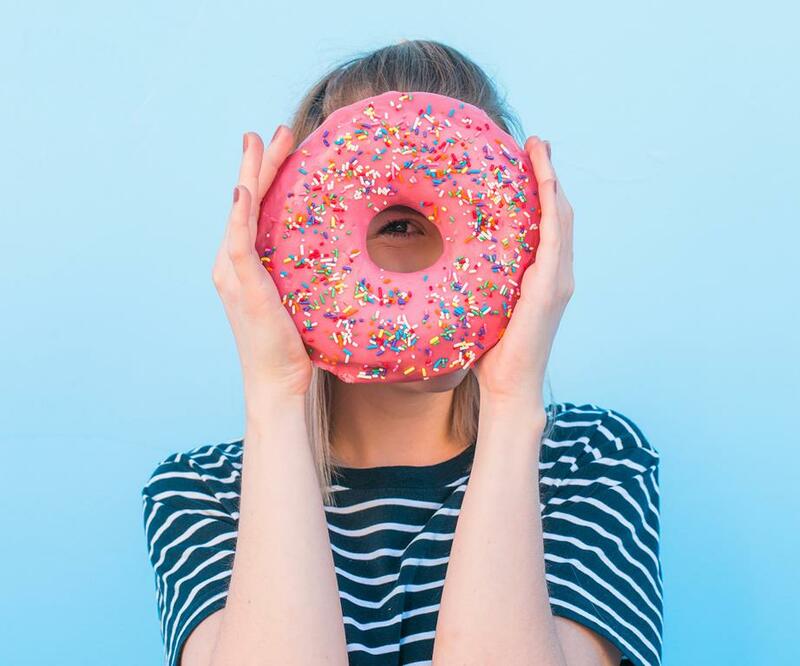 I mean, Doughnut Time says they feed four people, but we all know that willpower is often an illusion when it comes to baked goods… They’ve been created in honour of National Doughnut Day (June 1st), which is a date we clearly need to be marking in our calendars. The Mega Doughnuts are available in three different flavours, each with a punderful name. The D’oh Nut looks like it’s walked straight out of a Simpsons episode, resplendent in pink and topped with colourful sprinkles. (It’s also the cheapest at £15.) Chris Hemsworthy is the vegan offering, a red velvet doughnut with cookies and cream frosting and cookie pieces which will set you back £17. Or if a Mega Doughnut isn’t extra enough already, splurge on the Donatella Versace for £22. It’s a Nutella-filled doughnut, topped with Kit Kats, Oreos, M&Ms, and a regal golden Freddo. 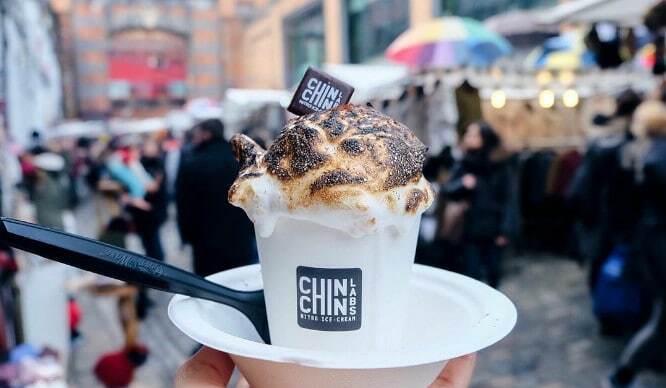 The sugar coma is an optional extra. You can pre-order the Mega Doughnuts from today for collection on June 1st, or chance your luck on the day and pick one up from one of Doughnut Time’s five stores. From June 1st, orders made before 4pm will be ready for collection the next day. To get your hands on them – you may want to bring a spare pair to carry these beasts – simply order from here. And remember kids; a beast of a doughnut can only be slayed by a beast of an appetite.